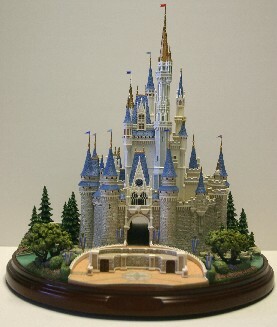 Cinderella Castle is the first piece designed and created by Olszewski for Disney's launching of the the Walt Disney World Magic Kingdom Main Street, U.S.A. Collection. base can be removed allowing the Castle to be placed in the Walt Disney World Main Street, U.S.A. Platform. or at the online Disney Store.